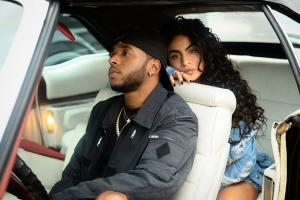 Toronto based singer-songwriter and rising global superstar Jessie Reyez shares new video and single “Imported” with 6LACK, from her highly anticipated forthcoming studio album, slated for 2019 release via FMLY / Island Records. The smooth R&B duet is Jessie’s first musical offering for the new year and opens with 6LACK’s verse carrying the breezy ballad through moments of brutal honesty and unabashed love offerings from afar. “Imported” premiered yesterday as a World Record on Zane Lowe’s Beats 1 Radio show, with the official music video premiering globally today at 12 p.m. EST on YouTube. The news follows last year’s monumental accomplishments including a sold-out 30-date tour, the Fall 2018 release of her second EP, Being Human in Public, which gained wide-spread acclaim from fans and critics alike including New York Times, Variety, The Fader, Nylon and more and numerous performances at world renowned music festivals including Outside Lands, Lollapalooza, AFROPUNK, Made In America, and Bonnaroo. In addition to these achievements, Jessie won Canada’s prestigious Juno Award for 2018’s Breakthrough Artist of the Year, which was followed this year with a win for 2019’s R&B / Soul Record of the Year. Last year, her critically-acclaimed single “Figures” was officially certified gold in the U.S. She also performed her hit single “Apple Juice” at the 2018 MTV Video Music Awards, where she was nominated for Push Artist of the Year and Video with a Message for her powerful and crucial “Gatekeeper” music video. The young artist also had a slew of collaborations with many notable artists including Eminem, Daniel Caesar, Sam Smith, and co-writing credits on Dua Lipa’s hit song “One Kiss” with Calvin Harris.